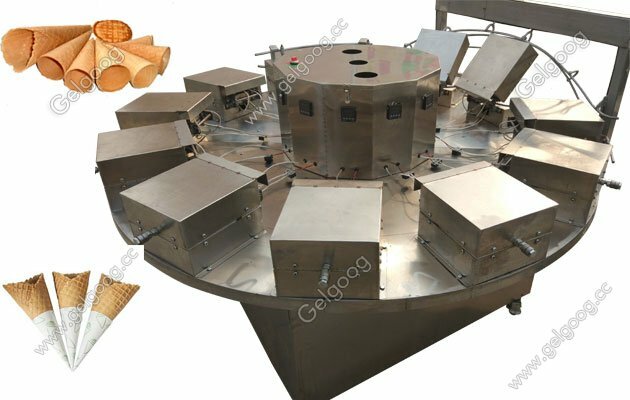 The rolled sugar cone baking machine is very simple to operate,convenient and practical.One person can do it. High quality electrical components,temperature control thermostat using Promise,Temperature freely. 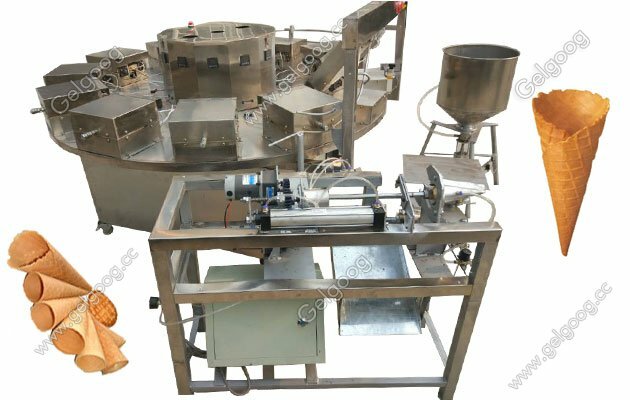 Automatic Rolled Sugar Cone Baking Machine Automatic Rolled Sugar Cone Baking Machine consists of 12 single-baking machine components. 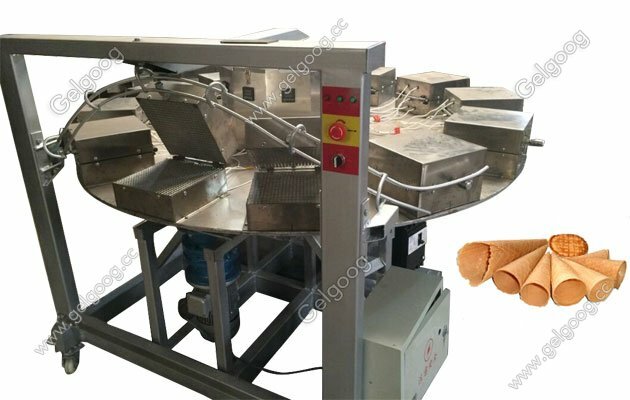 the rolled sugar cone baking machine is very simple to operate,convenient and practical.One person can do it. High quality electrical components,temperature control thermostat using Promise,Temperature freely. Cone cake beautiful appearance,entrance crisp,making simple low investment and high return. We also have ice cream cone rolling machine for your choice. For the rolled sugar cone business, our sugar cone rolling machine can help business a lot. We as the ice cream cone machine manufacturer in China, provide all kinds of the cone machines. If you need ice cream cone machine, contact us freely. It is better if you can tell your ice cream cone size and the ice cream cone quantity you need to do per hour. The more detail you tell, the more detail solution our slaemsan can provide to you.